Use this as an entry chime or door/window alarm. Compact design slips into a briefcase or bag-ideal for home, office or travel! 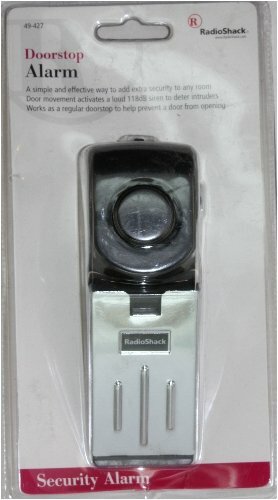 The RadioShack Doorstop Alarm is an easy and effective awy to add extra security to any home, office or hotel room entryway. 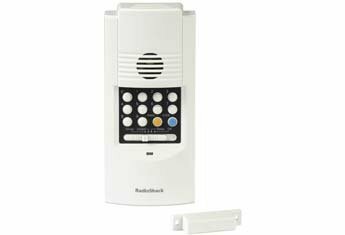 When the door is moved, a high-pitched 118dB siren is activated which startles and deters intruders. 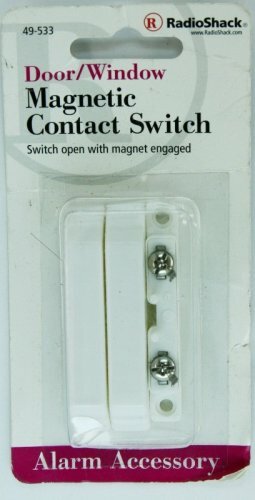 On/off switch-use as a conventional doorstop to help prevent a door from opening.